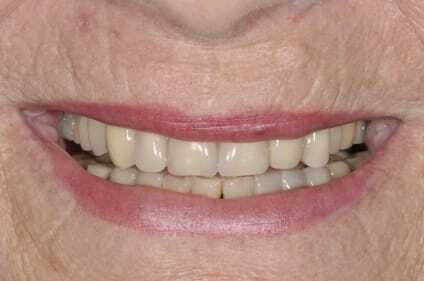 With modern bonding technology, we often don’t need to drill at all to reverse years of damage on teeth. 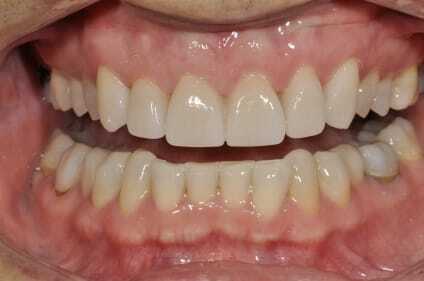 This case is a prime example. 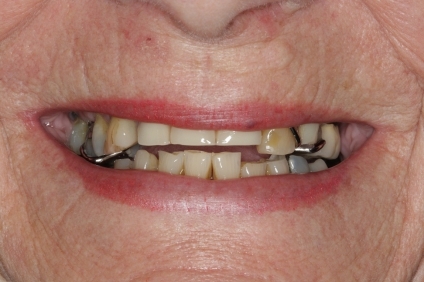 This lady had years of undiagnosed periodontal disease despite going to check-ups every 6 months. 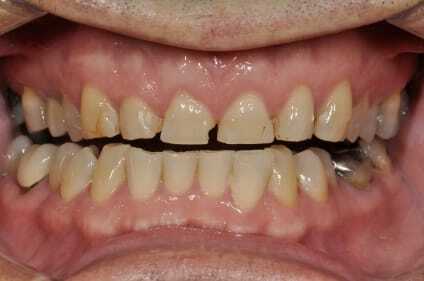 As a result, she had gum recession and bone loss, resulting in long, yellow teeth which were very sensitive to hot and cold drinks and foods. 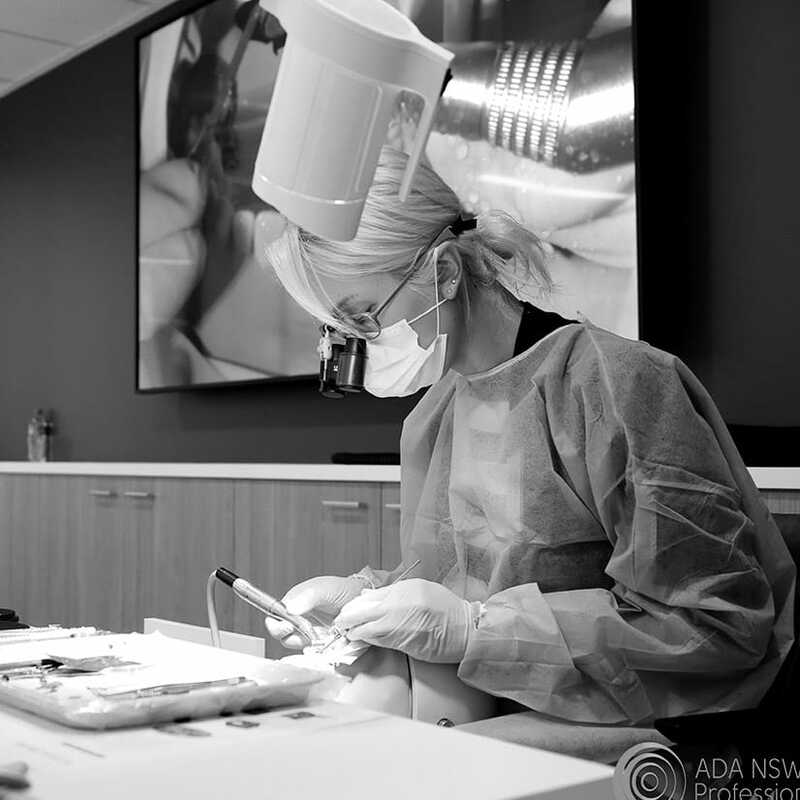 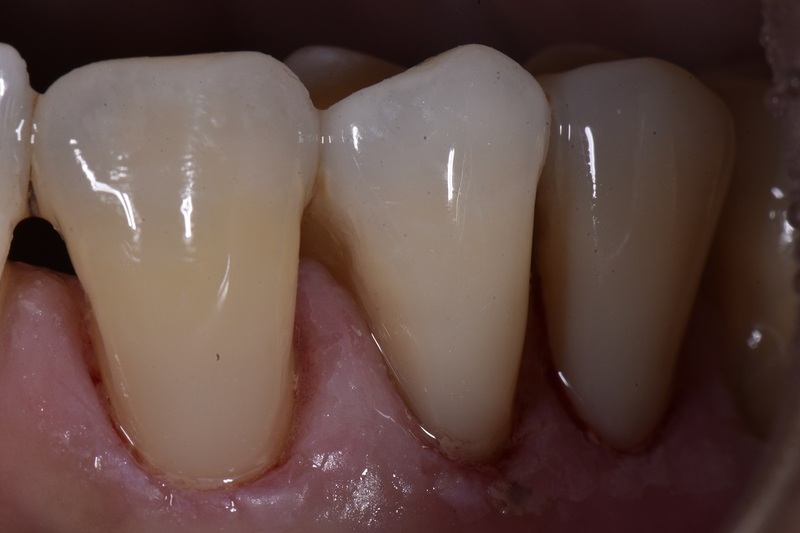 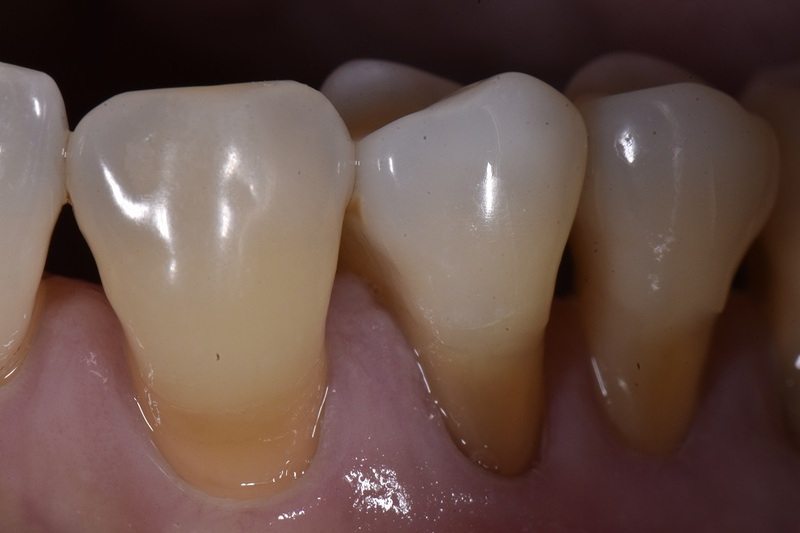 Using a no-preparation approach (we were able to do this as she did not have any detectable cavities/caries), we were able to bond and layer mercury-free composite restorations, improving both the sensitivity and esthetics of her smile in this region.